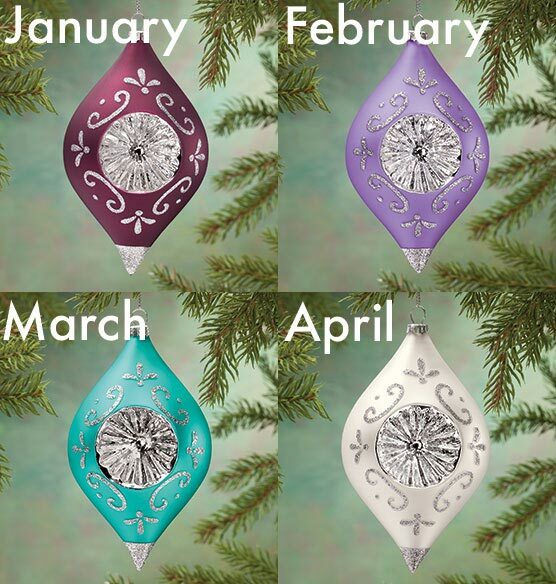 Dazzling in 12 different birthstone colors, this personalized birthstone glass reflector ornament reflects your thoughtfulness ... chosen specially for the recipient's birth month. 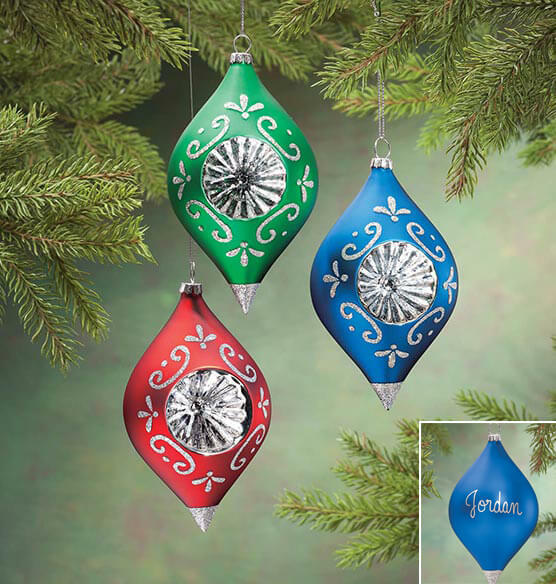 Inspired by nostalgic European artistry from yesteryear, the teardrop glass ornament features a recessed silver colored center for brilliant dimension, and silver glitter detail for added sparkle. 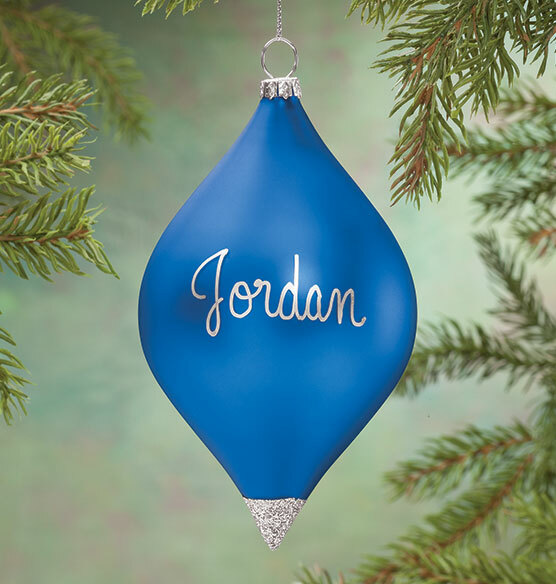 A beautiful way to represent each family member on your Christmas tree, this vintage-style Christmas ornament is a treasure to love, year after year! 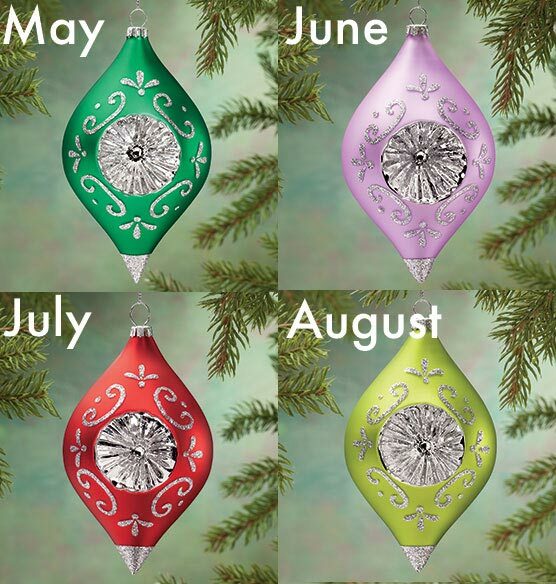 Specify month. Specify name; limit 1 line, 8 letters/spaces. 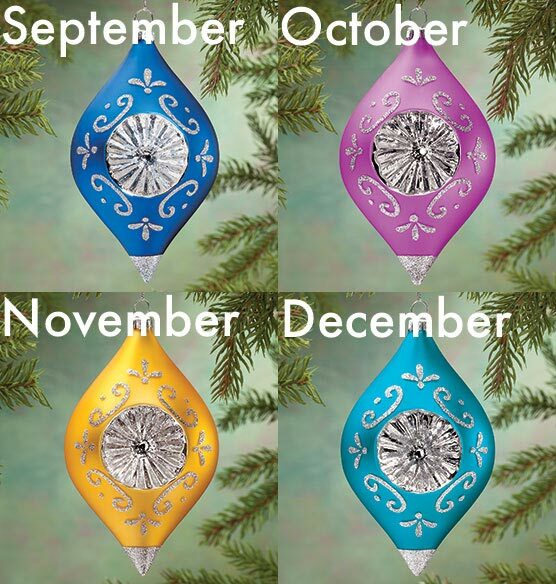 6" L x 4" W; includes silver cord for hanging. I bought for a good friend. She loves it! I think my daughter will like it.